With less than two weeks to go, it’s time to book your boat party tickets for Stop Making Sense. The Tisno festival have also announced that Ukranian DJ and producer Vakula has been added to the lineup, bringing his distinctive brand of raw house to the Adriatic Coast. In other news, the organisers have announced an extra night: the festival will now continue through Monday with sets from Ivan Smagghe and Justin Robertson. Everyone with SMS wristbands will get free entry to Barbarella club, and in order to keep revellers happy during the day, London promoters Percolate and Not So Silent wil lbe be supplying the daytime beats. Stop Making Sense is made up of a number of stages including the beach bar, the wood stage, set among the Mediterranean pines and oak trees, and the outdoor nightclub Barbarella’s Discotheque, where the party continues until sunrise. 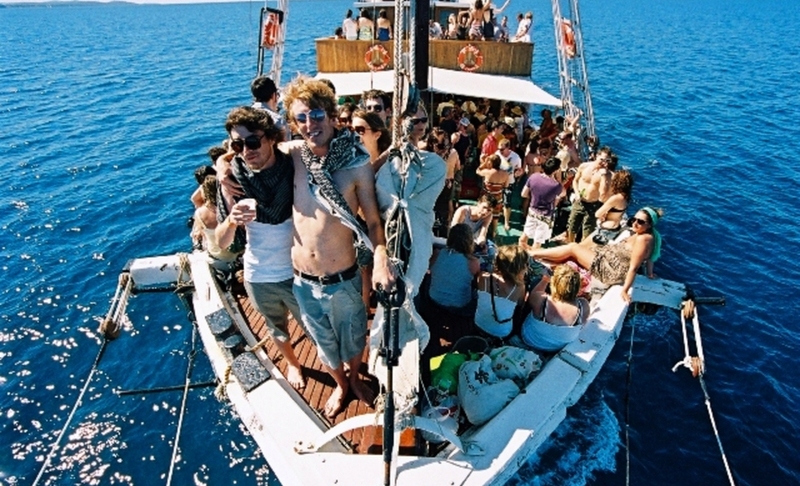 In between, there are daytime boat parties that embark from the bay twice daily for intimate, raucous shin digs with you favourite DJs and crews. See you there, in the meantime check our review of least year’s festival here.